[ADVERT]The Literary Top 10 or Top 50 or Top Whatever lists usually tend to contain the same books. Once you've finished with Wuthering Heights, Pride and Prejudice, and Anna Karenina, check out these equally good but less well known examples. Now before you start yelling at your computer screen that I've got it wrong, keep in mind that this is a completely subjective question that everyone is going to answer differently. Having said that, I give you my picks for the five books that everyone should read at some stage of their life. This novella is a heartbreaking commentary on the death of the American dream. George and Lenny are lifelong best friends who make a living travelling the country working on farms. But their dream is buy their own farm, and just when it looks like they might have a chance, a tragedy changes everything. 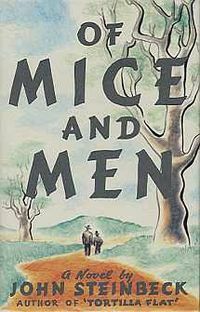 Steinbeck's prose is dreamy and bucolic, yet utterly devastating at the same time. If you like this one, try Grapes of Wrath or East of Eden next. The Satanic Verses is Rushdie's most well known work, probably because it's the one that famously caused the Iranian Ayatollah to issue a fatwa on Rushdie and his publishers. 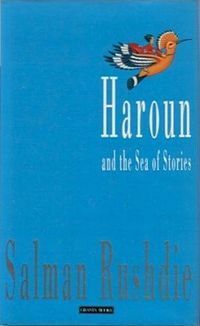 But Haroun and the Sea of Stories better demonstrates Rushdie's incredible storytelling abilities (in my opinion). The titular Haroun and his father, himself a famous storyteller, traverse strange lands to save their town from the fog of sadness that has descended upon it. It's a fable, a redemption tale, a fantasy novel or a modern day fairy tale that combines ancient mythology with modern day pop culture symbolism, but most of all, it's a really fun read. Once you've finished, check out the sequel-of-sorts, Luka and the Fire of Life, starring Haroun's little brother. Don't think that the book is ruined for you just because you've seen the movie; the ending in the book is slightly different, so you will still be surprised. If you didn't catch the Brad Pitt and Edward Norton big screen adaptation, Fight Club features an unnamed narrator who meets the enigmatic Tyler Durden on a flight. When the narrator's apartment is blown up, the two come to live together and form Fight Club, a no holds barred, testosterone filled organised brawl that turns into an anarchic society. Fight Club was Palahniuk's first novel and the fringe dwelling characters and use of repetition, things that would later become trademarks of Palahniuk novels, are still fresh and interesting. Palahniuk's fourth novel Survivor is also worth a look. Protagonist Eva Khatchadourian is the mother of Kevin, a notorious high school shooter. 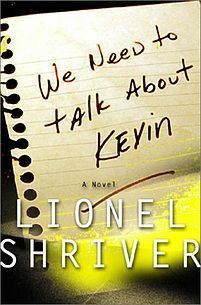 The novel is presented as a series of letters from Eva to her husband and Kevin's father, Franklin, as she tries to make sense of her son and pinpoint the moment he became a killer. We Need to Talk About Kevin is a disturbing read on many levels. Shriver expertly hints at Kevin's sociopathy without giving too much away – it's always the thing we don't know that haunt us most. And Eva's mental state is another element that sticks with the reader long after the final page is finished. Does Eva have psychological problems herself? How much of her testimony can we believe? We Need to Talk About Kevin is a thrilling read but Shriver does suffer from 'why use one word when you can use ten?' syndrome, so it may take awhile to wade through. When you're done, check out the film adaptation starring Tilda Swanton. The Stepford Wife has become such a well known pop culture icon that it almost seems dated now. 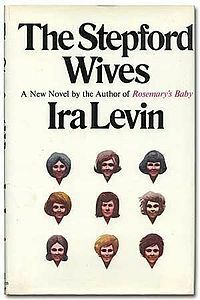 But when Ira Levin, a man, wrote this gender issue novel in the early seventies, the concept was extremely radical. Johanna Eberhart moves to the suburban town of Stepford with her husband and children to find that nearly all of her female neighbours are mindless housewives, overly concerned with baking and keeping house. Her investigations uncover sinister secrets surrounding Stepford, but will she escape in time? Ira Levin has a skill for writing stories that are particularly horrifying because of the comment they make on the human condition. Follow up with Rosemary's Baby or Boys from Brazil. As I said in my introduction, a list like this is always going to be subjective. 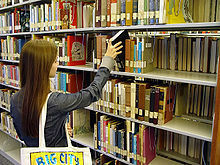 So let's hear it – which five books do you think everyone needs to read? I would actually add Xavier Herbert and anything he has written. I think there is a space in Australian writing since his stories. Peter Carey began to fill that gap, but disappeared. Tim Winton is a wonderful WA writer, yet I have not seen or found a uniquely australian voice in years. We need to talk about Kevin is truly one of the most gripping novels I have ever read. Warning to those of you planning to start a family, I suggest you put off reading it until you have some years of Mothering behind you. Read the story before watching an equally rivotting film. Lionel Shriver is brillant. I would have put The Wind in the Willows (kenneth Graham) in there and Ivanhoe (Sir Walter Scott) both of which I have in paperback and e-reader. I adore books, and am currently forcing my nerveless hands to release a few hundred for sale, but only to make room for more!!! I also love my kindle for its convenience and because I can obtain books which will never make it to Australia. an interesting article and an intriguing list of books. I look forward to reading all these. but I will like to add the kiterunner, the bookthief, eleven minutes, the alchemist, the life of pi to your list, because these are magnificent creations by their own rights! Interesting choices. I haven't read the Stepford Wives but I think I'll add it to my giant 'to read' stack. 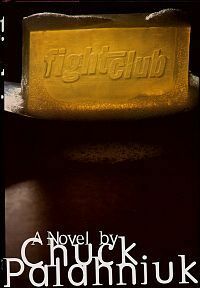 I second Fight Club, but I think another Palahniuck book, Invisible Monsters, is better. We Need to Talk About Kevin is a controversial one, great for book club discussions. The first two in your list are really good reads, I will agree. I enjoyed reading them. Some of my favourites include The English Passengers by Matthew Kneale, and Life of Pi by Yann Martel. Julian Barnes is another great author. All Australians should have read 'Why Warriors Lie Down and Die' by Richard Trudgen as well as 'Capricornia'. Though I doubt many will. Come on - your list is hardly going to change anyone's world! The Book Thief was excellent. Nice try, but I disagree. I'm sorry, but I would not recommend even one of those (mind you, I haven't read the Rushdie one). Of course, as you said, it's all subjective. Nick Eales and Tim Winton are two wonderful Australian "voices" who have emerged in recent years. I wonder what happened to Peter Carey?